For thousands of years, humans have been using the power of gems to heal body, mind, and spirit. Today, people worldwide still hold faith in this traditional medicine. They feel that crystals can have a strong bearing on your destiny, health, or outlook on life, and therefore carry these important gems with them for protection or strength. Whether or not you believe that crystals and gems can play a role in your spiritual life, there is something that most people can agree on: crystals are a stunning, bold fashion statement! It’s true. Crystals are downright gorgeous, and they’ve paved their way into the fashion scene as of late. Diamonds are forever, but colored gems and unique crystals are cropping up due to their rich, eye-grabbing colors and trendy reputation. The bright, beautiful violet and purple color of the Amethyst, the birthstone for February, draws attention to anyone wearing this unique gem. But despite its undeniable physical beauty, the Amethyst serves wearers in many different ways on the spiritual level. The stone is said to bring wealth, a strong business sense, and a better grasp of one’s personal finances. Because the amethyst is a gem of protection, especially in regards to protecting your own home, it is good to keep them at your residence. If you’re feeling distracted, confused, or depressed, the amethyst is said to bring a clarity of mind so you can know yourself on a deeper level and repel negative energy in your life. On top of all that, the amethyst is considered by many as a natural stress reliever, so if you find yourself feeling more stressed lately, consider wearing this purple gem. 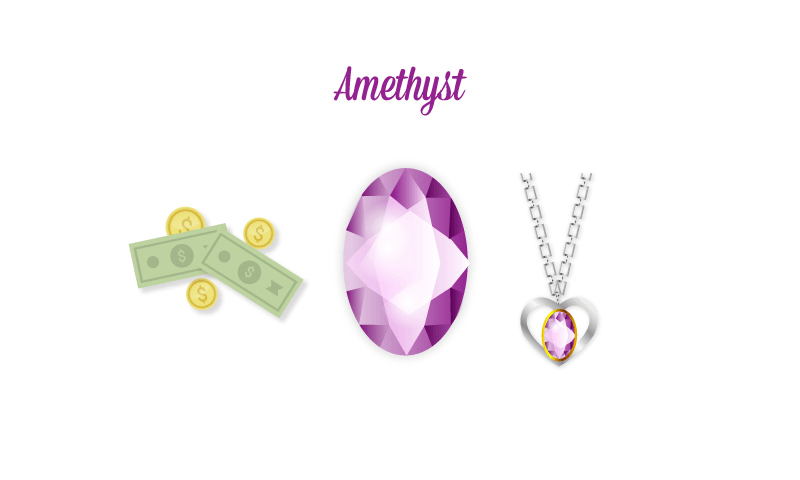 How to Wear It – With their unique purple hue, Amethysts look best with silver or white gold metal settings. 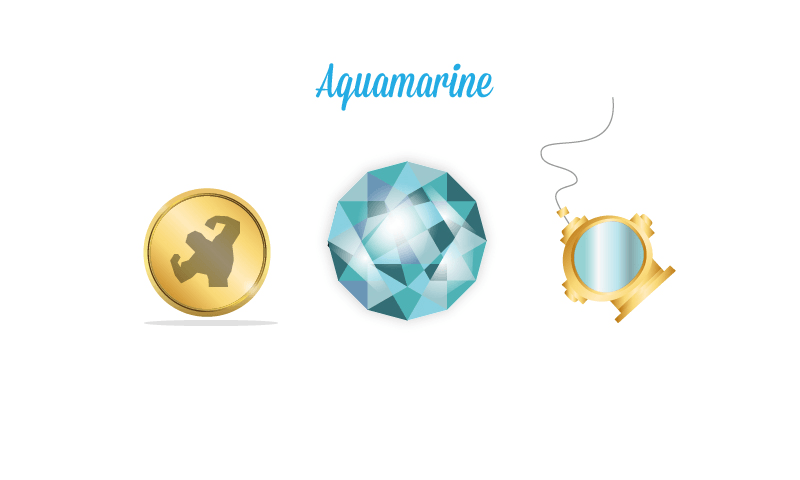 Back in the day, seamen and fishermen brought Aquamarine with them to protect them from the dangers of the sea. Of course, this is very fitting since the color of aquamarine gemstones is often used to describe the color of the ocean, especially in tropical climates. Even today, aquamarine is used as a defense against oceanic terrors, often worn by scuba divers and surfers. Aquamarine is the perfect gem to wear if you are looking to strengthen your personal power. It connects with the Heart Chakra, and therefore can assist in finding your deepest personal truths to allow you better control over how you express yourself to others and how to maintain emotional balance. Furthermore, it is known to bring courage and a clear mind to those who wear it. How to Wear It – The gorgeous light blue color of Aquamarine makes it go particularly well with almost all metals but especially yellow gold, white gold, and silver. When you wear aquamarine, try to wear clothing that makes the gem really stand out, such as a plain white shirt of plain black dress. Don’t be afraid to allow the gem to be the main focus of your look. The November birthstone, Citrine, is a yellowy-orange colored stone representing constant positivity and optimism. According to crystal specialists, Citrine stones cannot hold negative energy, and therefore they never need to be cleansed. If you are feeling down in the dumps or anxious, this is the stone for you. Powered by the energy of the sun, the Citrine stone can warm, energize, and cleanse the body of negative energy to provide you with a more optimistic outlook on life. 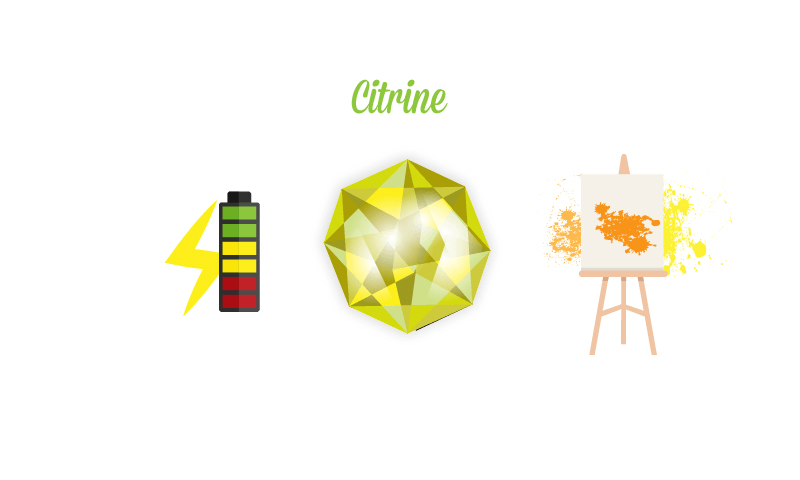 For any artists out there enduring some sort of creative roadblock, Citrine can help revitalize your imaginative brain and clarify your artistic vision. How to Wear It – The yellow-orange color of Citrine makes it a little more difficult to wear over other gemstones on this list, however don’t let that deter you. Set citrine stones in silver or white gold and wear them with offset colors. For instance, if you have a blue blouse, the citrine stone serves as a nice contrasting statement accessory. Blue sapphires have increased in popularity immensely ever since Prince William gave Kate Middleton the famous diamond-encircled blue sapphire engagement ring that belonged to his mother, Princess Diana. With their deep blue hues, blue sapphires serve as a truly stunning alternative to diamonds. In regard to their meaning, blue sapphires are associated with creative expression, intuition and hope. 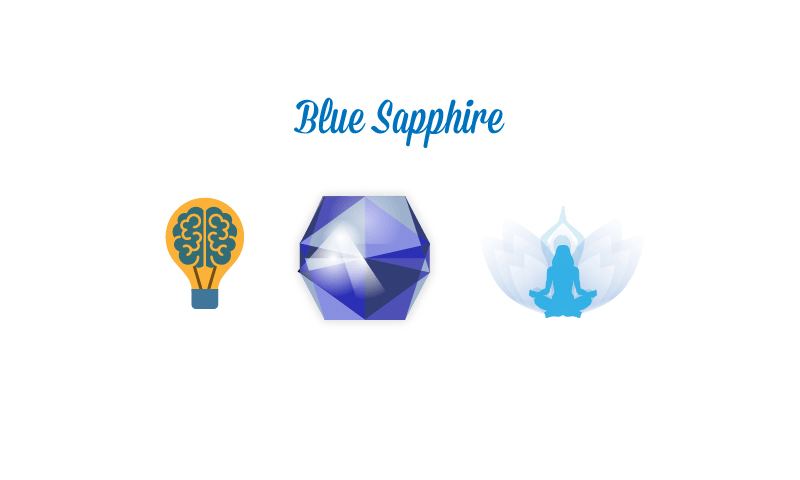 They say that using a sapphire during meditation can help you hone in your creative thoughts. Ancient Egyptians associated blue sapphires with the “Eye of Horus” (eye in the sky) and thought that the stone would help protect loved ones from envy and harm. In regard to physical healing, blue sapphires have been known to reduce fevers, insomnia, depression, vision problems, back ache, burns and inflammation. One of the most powerful traits of this stone is that it can bring hope to hopeless situations, so if you know someone struggling with feelings of hopelessness, a blue sapphire might help their spiritual outlook. How to Wear It – Blue Sapphires make excellent engagement rings and go especially well with diamonds. Set them in yellow gold or white gold. They also look great as solitaire earrings or necklaces. Stuck in a love drought? Are you struggling to let go of heartbreak from the past? If this is the case, consider donning a pair of pink sapphire earrings or perhaps a necklace. With their romantic and flirty hot pink coloring, it makes sense that pink sapphires are known to heal past emotional wounds and assist people through major emotional transitions such as a break up. This flirty stone also promotes forgiveness, acceptance, and letting go so that you can be open and ready for a fresh, new romantic relationship. 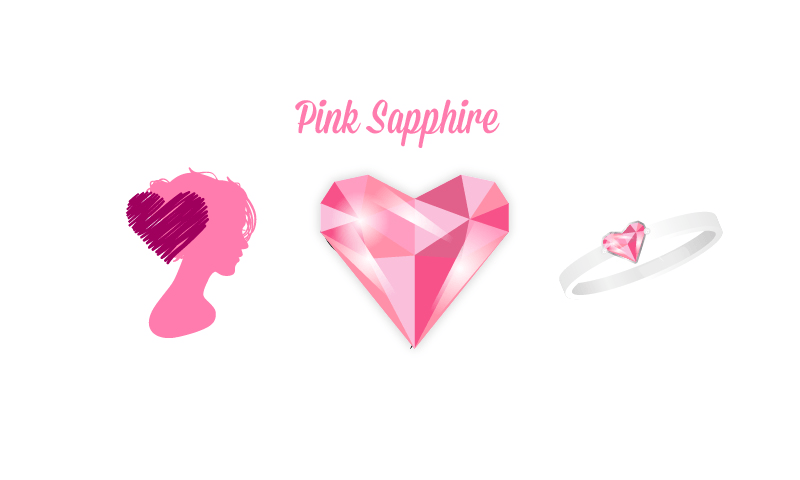 If you’re on the shy side and have difficulty approaching romantic interests, a pink sapphire could help you overcome shyness while also releasing your inner tension and unwanted thoughts. Overall, pink sapphires will provide you the strength to move on from the heartbreaks of the past and embrace a new romantic experience. How to Wear It – Pink sapphires are hot pink. Set one in white gold to make the color pop! When wearing them, keep in mind that your clothing needs to match a hot pink stone. They serve as a perfect way to spice up a bland outfit, but also add a little something extra to more colorful ensembles. For years, rubies have been associated with wealth and power, adorning the crowns and necklaces of royals all throughout Europe. 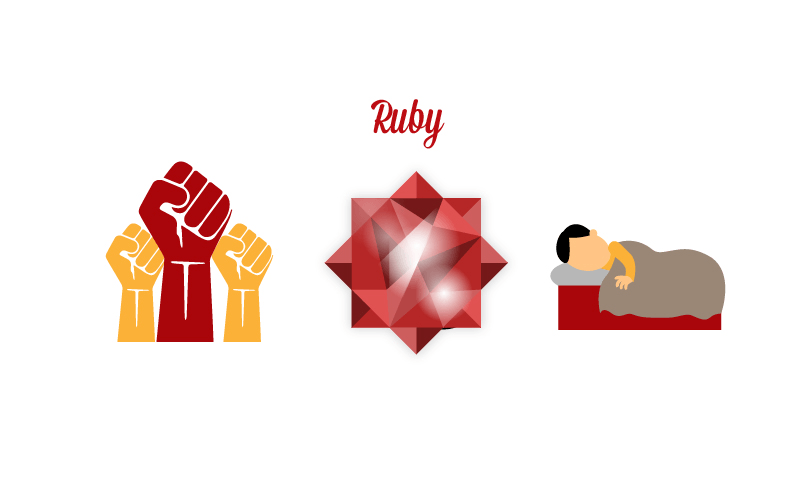 Today, the famous deep red hue of the July birthstone continues to signify wealth, power, leadership and generosity. Anyone about to embark on a new journey should wear rubies because they are said to bring a sense of adventure to the wearer and guide you toward your true bliss. Psychics use rubies for dream work, especially in dream recall exercises and uncovering the significance behind lucid dreams. In regard to protection, the ruby stone is meant to look after the home and your children, and also protect against unhappiness and lightening. If you’re feeling uneasy about a lie or a secret, rubies are said to alleviate guilt and promote honesty for the wearer. How to Wear It – The deep red color of a ruby goes especially well with yellow gold settings. It’s hard to ignore the luscious deep green hue of Tsavorite, the January birthstone. In regard to the history of gems, the Tsavorite stone is relatively new. It wasn’t discovered until 1967 when a Scottish gemologist named Campbell Bridges fell into a gully in Tanzania and saw green stones on the ground. Soon after, Tiffany & Co introduced the Tsavorite to the gem world. 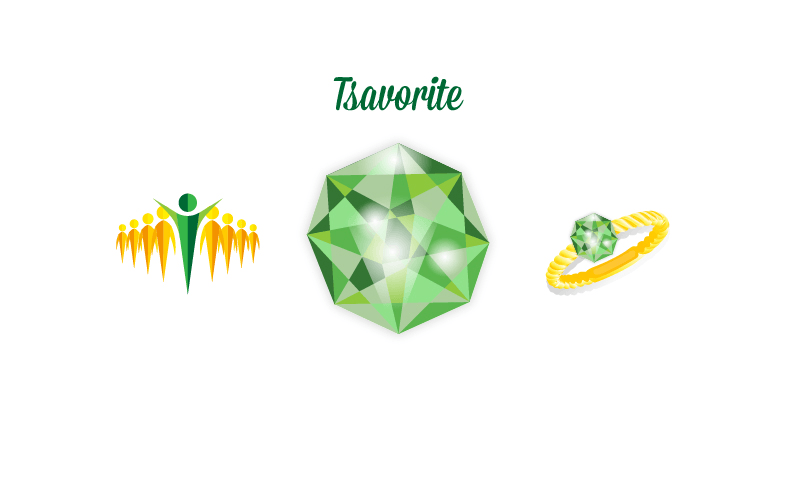 If you’ve suffered from stress or anxiety, tsavorite is the stone for you. The top words associated with this stone are prosperity, vitality, benevolence and confidence. It is known as an effective stress reliever, and especially helps in decreasing financial concerns. It also helps you recognize your inner beauty and the beauty within others around you. It’s use in crystal healing is vital, as many believe it promotes cell growth, heals heart problems and allergies, and also strengthens the body’s respiration, immunity, and metabolism. Because the gem is related to the heart and solar plexus chakras, it can also assist you in living your own destiny rather than being stuck on the wrong path. How to Wear It – Tsavorite is known for its nice level of brilliance and refreshing green color. It is especially attractive when paired with white or gold metals. Usually, you see tsavorite mixed and paired with diamonds, but it also compliments other colored stones such as blue sapphires and rubies. Now that you know the spiritual significance of these unique stones, take a moment to reflect and consider which stone will suit your life and style the best. And if you’re not a believer, consider purchasing a unique stone simply to liven up your accessory closet. 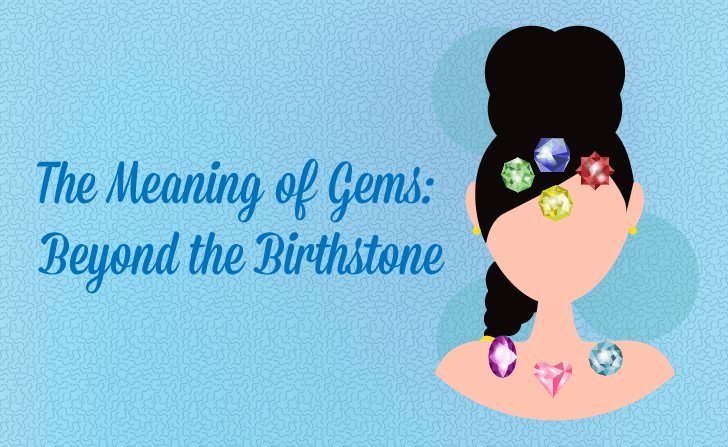 Check out the full list of gems and meanings in our handy mini-infographic below!